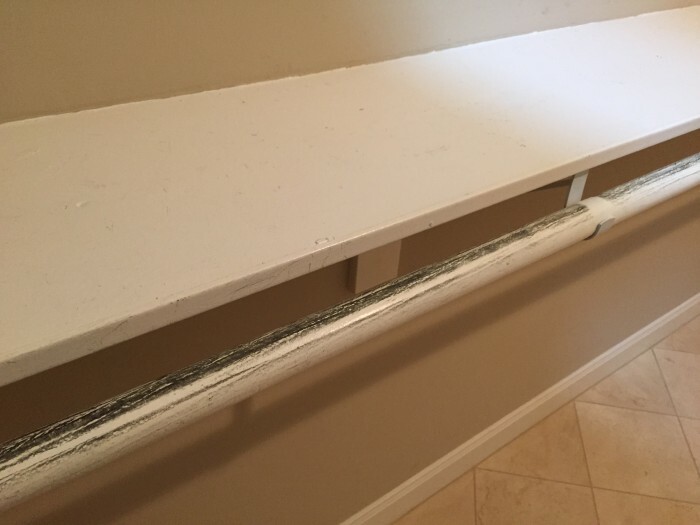 When installing wooden closet rods, use a wood stain instead of painting them. Medal hangers will turn the paint dark gray from metal transferring onto the paint from constant movement as in the photo. You can add more storage space by adding double closet rods. We usually set double rods at 38 inches and 78 inches. For longer clothes, set single rods at 67" with a shelf above for storage.